As anyone living in Ohio can tell you, getting storage is no easy matter. You need to be able to pick the right company and figure out which storage you need to use. Well, in order to help the good people of Reynoldsburg, we have started providing storage units. Whether it is for moving or simply for decluttering your home for a while, if you need storage units Reynoldsburg Ohio, you’ve come to the right place. Here at Zippy Shell Greater Columbus Moving and Storage we like to offer our clients a variety of services and help them pick the one that suits them the best. Using storage units Reynoldsburg Ohio can often make your life much easier. There are many situations which can be solved or made substantially better by using storage. Long distance moving if often impossible without storage services. Especially if you have to relocate your entire home. Therefore, you should know in which situations you can use storage so that you can save yourself from unnecessary hassle. The largest benefit to using mobile storage is that your move labor is halved – load once, unload once. We also offer up to 30 days free storage for long distance moves – frequently required as home closings are very difficult to coordinate. Frequently, local moving doesn’t require storage. Although, that’s not always the case. Depending on your move type, or whether you are buying or renting, any move could require a storage unit, even if for only a few days. Purchase closings have become unpredictable, making for a stressful situation. Therefore, you should know your options if moving to or from Reynoldsburg, by contacting us to discuss your moving plans. We will help you figure out how to utilize storage units Reynoldsburg Ohio so that your move is as efficient and easy as possible. Another reason why people get storage units is proper home decluttering. In today’s world, we often find ourselves with a cluttered home. But, even though we have items that clutter us, we don’t want to throw them away. They may be family heirlooms or simply items that we don’t want to use right now, but will use in some later situation. If this is your case, then storage units Reynoldsburg Ohio are the solution for you. In our units, you can safely store your items for as long as you like. We can help you organize and prepare your items so that there is no risk of them getting damaged during storage. 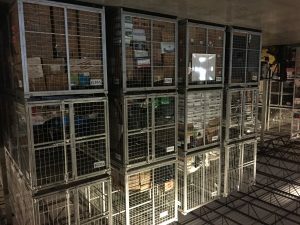 We even offer seasonal storage for longer term storers, which include free redeliveries every 6 months, so you can exchange the winter gear with summer gear. Some situations, like selling your home or organizing a big party, require us to store our more valuable items. These items are clutter per se. We use them every day. But, in this situation, they will only cause stress and needless trouble. For this situation, your best solution is mobile storage. These items usually need storage units that are easy to access and organize so that you can access your stored items if necessary. If you are going to do so multiple times, you need to store them differently then you would if you wouldn’t access them until the end of storage period. Consider using bins storage if you plan on using your items multiple times. Many factors contribute to successful storage, and we are there to help you along every step. We always help our clients figure out the best storage solution for their situation. As storage needs may differ substantially in duration and type, we have come up with certain categories. These categories serve to help our clients figure out which storage services they need, so that their storage experience is always exceptional. Our team is here to help you – from picking storage units Reynoldsburg Ohio to figuring out the best storage plan for your situation. Keep in mind that these categories are not set in stone. Whatever your storage needs may be, we strive to accommodate them to the fullest. The most common use of storage is, of course, residential storage. In our storage units Reynoldsburg Ohio, you can safely store your everyday household items. It doesn’t matter if they are big, small, fragile or sturdy. We are here to help you store them safely. Keep in mind though, not every item should be stored. We strictly prohibit storing anything living (e.g. plants or animals), flammable materials, or liquids in unsealed containers in our storage units. Anything that needs constant care in order to maintain its current form is not suited for residential storage. If you need to use storage while moving, you know where to ask. There is not an office relocation that is possible without at least some use of commercial storage, even if only for a few days. But, even if you are not moving your office, you might need to get some. Offices need to be kept clean and uncluttered in order to minimize the stress of your workers and therefore increase their productivity. More and more businesses use commercial storage as it is cheaper than renting office space simply to store these items. Some people even run their businesses from storage units. The more you think about it, the sooner you will realize why commercial storage is such a great idea. The men and women that serve their time in the military are worthy of our respect and gratitude. And in order to show our thanks, we have made a special category specifically catered to their needs. If you or any member of your immediate family is in the military and you need storage services, look no further. We will figure out how to make your storage experience as efficient and cost-effective as possible. It’s the least we can do. Thank you for keeping our country safe. The two things that may damage your possessions are mishandling and weather conditions. While we can guarantee that your items will not be mishandled while you store them with us, we cannot guarantee that the weather will not take its toll if stored elsewhere. You can and should mitigate both of these with careful wrapping and packing, but the threat of cold weather and moisture is always there. That is unless you use our climate controlled storage units Reynoldsburg Ohio. By doing so you will make sure that your items are as safe as humanly possible and will, therefore, remain intact throughout your storage period.